Ever wondered about dental implants? Are they good? Do they last? Is it painful? What are they exactly? ?Well let’s get into some of those details! A dental implant is a post that?s placed within the bone, near the area of your missing tooth.? After insertion and over the course of a few months, the surrounding bone will start to fuse to the threads on the implant, securing it in place. We call this process ?osseointegration.? If replacing one or more teeth, a crown or bridge will be attached to the implant. Dental implants can also be inserted to help hold a full set of dentures in place. With the latter method, the denture has buttons that securely snap over the implant attachments. When given your tooth replacement options, your dentist, or me (Dr. Yazdan) may have suggested a partial denture or a dental implant.? A partial denture is a removable device that most people would rather not have to deal with. Dental implants are fixed, so you don?t have to take them to eat or brush your teeth. ?Many dentists are stepping away from recommending conventional bridges to replace missing teeth. A bridge is a set of artificial teeth that are connected together.? In order for it to stay in place, it has to be fitted over the adjacent teeth on each side of the gap.? This means that your dentist will have to make irreversible adjustments to those teeth in order to fit the bridge over them. In some cases, there?s nothing wrong with the adjacent teeth, so working on them when not necessary is frowned upon. When placing a dental implant, there is no work that?s needed to any natural teeth. It?s a minimally invasive alternative! A shallow bone ridge can cause your lower denture to be loose. ?If you have a strong gag reflex, it can be difficult to wear an upper plate.? In both of these cases, dental implants are a great option to consider. Implants allow your denture to be removable or permanently attached, meaning Dr. Yazdan will be able to remove a large area of acrylic from the plate to reduce gagging and improve fit. Since there aren?t natural teeth involved with dental implants, then you don?t have to worry about them decaying. ?this DOES NOT mean that you can avoid brushing and flossing altogether! You need to make sure you thoroughly remove the plaque from around your dental implants. As long as you keep your gums healthy and avoid developing periodontal disease, your dental implants have the potential to last a lifetime. Now that?s an investment worth making! You may have been told that a root canal can save your tooth. ?The truth is, dental implants have become even more reliable than root canal therapy.? The results are straightforward, highly predictable and the success rate for implants is very high. If you have to lose a tooth at all, our Newport Beach dental implants are one of the best ways to replace it. In order to make sure that you qualify to get a dental implant, we?ll first have to see you for a consultation.? When you come in, we?ll take a 3D scan (aka a CT scan) image of your facial anatomy.? We?ll be able to see your bone structure and check its density. ?We can see where the main facial nerves are, an ensure that they won?t interfere with implant placement.? If considering an upper implant, we will also be able to see the sinus cavity to make sure that implant doesn?t extend into it. Once our Newport Beach implant dentist thoroughly evaluates the CT scan, we?ll perform an intraoral exam to see what the area looks like and if it?s healthy enough to support an implant. What if You Don?t Qualify? If during your evaluation it?s determined that you don?t qualify for dental implants, there may be some options to change that.? If it?s a matter of not having enough bone, you may be able to get a graft.? If the sinus cavity is in the way, you could consider a sinus lift.? If the gap is too large, or too small, you could undergo orthodontic treatment to get it the right width. You likely have options, so being told ?no?, may really mean ?not right now?. 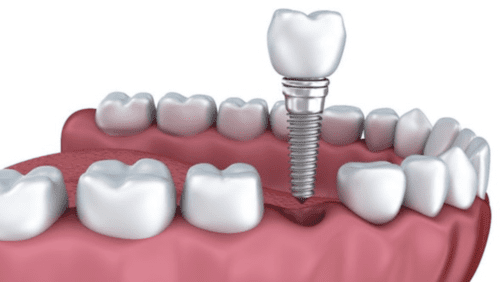 If it?s decided that you?re a good candidate for a dental implant, then we?ll schedule you for the procedure right here in our Newport Beach, CA practice.? You may need some medications beforehand to help you heal quickly and be pain-free.? When you come for treatment, you?ll need to bring a driver along, because we?ll likely use some form of sedative. If you?re considering getting a dental implant to replace missing teeth, then give us a call. 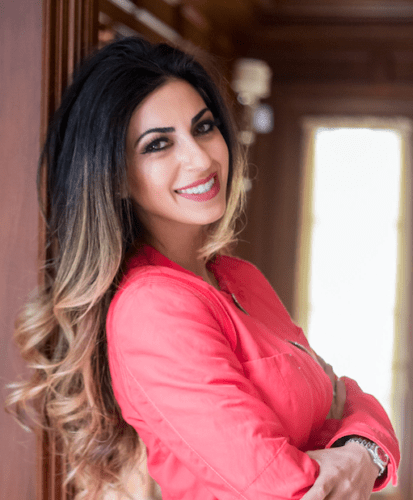 The Center for Restorative & Cosmetic Dentistry in Newport Beach, CA looks forward to helping you find the right solution!